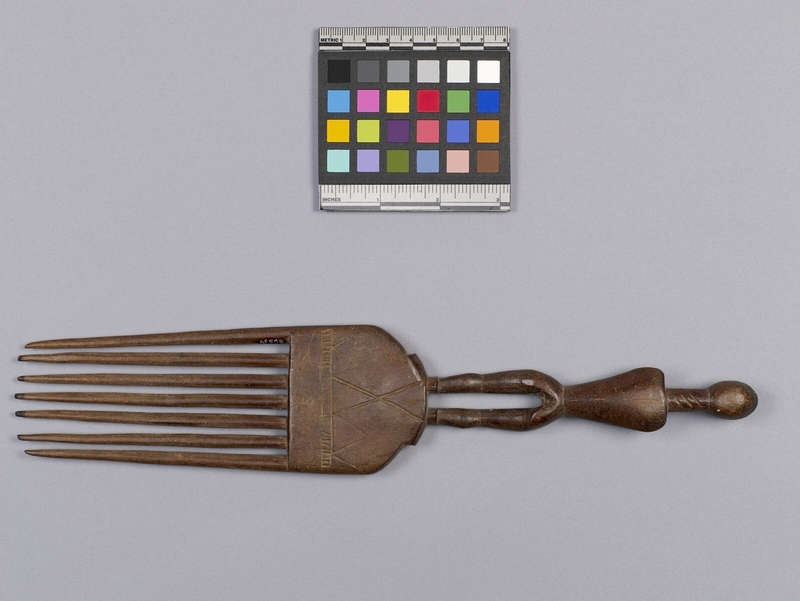 Item number Af578 from the MOA: University of British Columbia. 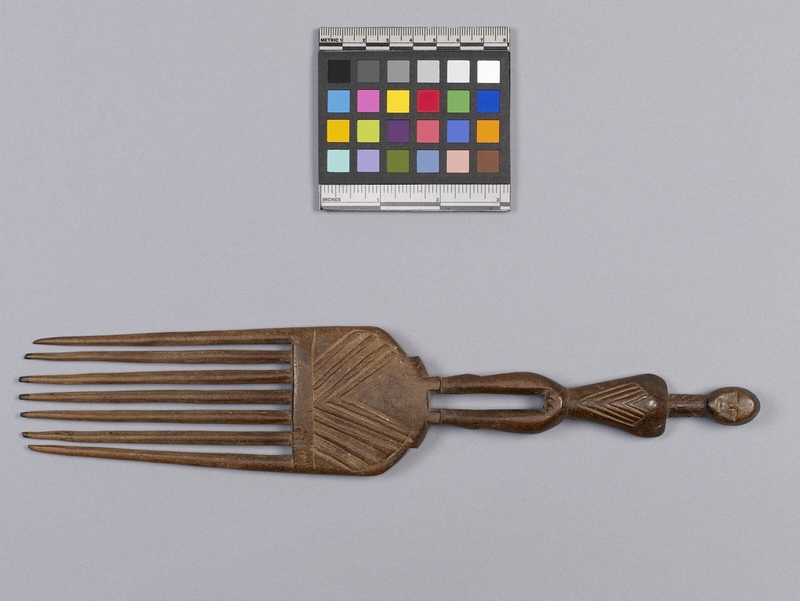 Brown wooden comb with a figure of a human without arms as a handle. 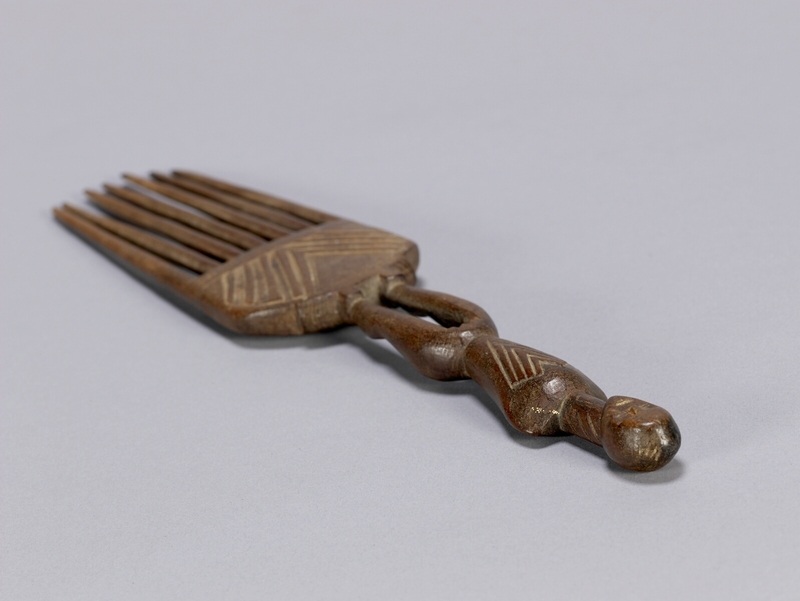 Figure stands on the top of the arched piece from which the teeth of the comb extend. The surface below the figure is carved with several V-shaped incised lines and there are triangular shapes incised on the back. These designs are also evident on the torso of the human. There are seven teeth to the comb all together.